NXP Semiconductors N.V. today announced the availability of fully integrated, highly flexible driver IC solutions designed for vehicle LED headlights and tail lights, based on automotive-qualified technology. The ASL1010NTK and ASL1010PHN are the industrys first automotive LED driver ICs to integrate critical functionality such as direct LED temperature feedback, LED fault detection, internal PWM control for dimming, and short circuit protection – all on an automotive-qualified analog mixed-signal platform in an 8/16-pin package. Until now, automotive LED lights have used complex, expensive driver ICs designed for generic Solid State Lighting (SSL) applications that are short of many of the important functions needed for automotive lighting applications. As automotive SSL becomes more popular in the car, Lighting Control Unit makers and LED vendors are in need of more robust, efficient solutions that enable OEMs to realize the full benefits of energy-efficient LED lightss, which can reduce fuel and battery consumption by approximately 50 percent in some applications compared to incandescent lights (UMTRI, 2008). By integrating the core functions critical to automotive LED lights, the ASL1010NTK/ASL1010PHN driver ICs offer a compact all-in-one solution that requires few additional components, enabling more cost-effective, elegant and reliable LED module designs. At the same time, the NXP system solution offers flexibility to cover different car platforms, configurations, output voltages, and numbers of LEDs. Demand for LED lighting in the car is growing rapidly, as car makers seek to reduce energy consumption and take advantage of the longevity, styling, faster turn-on times and colour options offered by automotive LED lights. Regulators are also helping to drive demand – for example, in Europe, exterior daytime running lights (DRLs) will become mandatory on all new cars starting in 2011, and car makers are taking the opportunity to introduce LED-based daytime running lights. 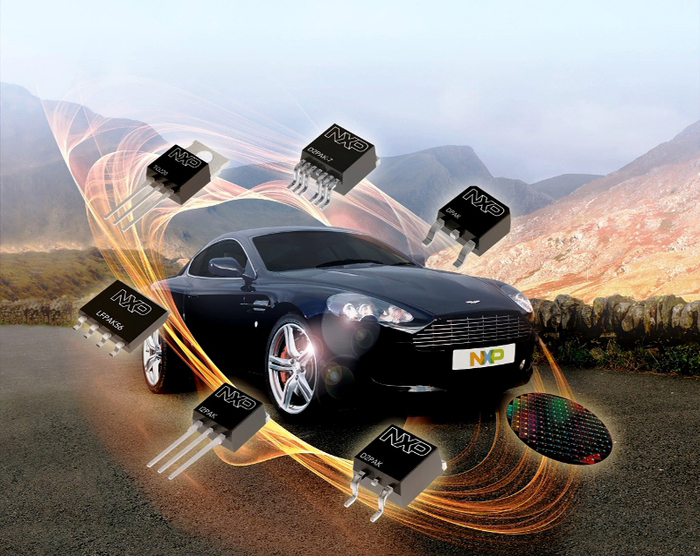 NXP provides a highly reliable, flexible system solution that can be used across different car platforms. The NXP LED driver IC features an auto buck/boost topology, allowing it to safely drive up to 20 LEDs from the standard car battery voltage; the system allows maximum flexibility on output voltage from 6 to 60V and can be used with any LED chips available on the market today. The core functionality for driving automotive LED lights has been integrated into the IC, making the reference design compact yet flexible enough to be used across different configurations and numbers of LEDs, without requiring a redesign of the PCB. The integrated design eliminates redundant functionality across platforms, as well as the need for an external microcontroller. Further, the ASL1010NTK/ASL1010PHN driver ICs are based on the ABCD9 technology node – NXPs automotive technology platform driving analog mixed-signal integration. Thus, the architecture of the ASL1010NTK is designed to reduce system costs as well as development time for Lighting Control Unit and LED designers, and help speed time to market.